Kafé Hærverk presents two nights of extraordinary British techno on the 14th and 15th of December. Tickets are available now at 150 kroner per night. 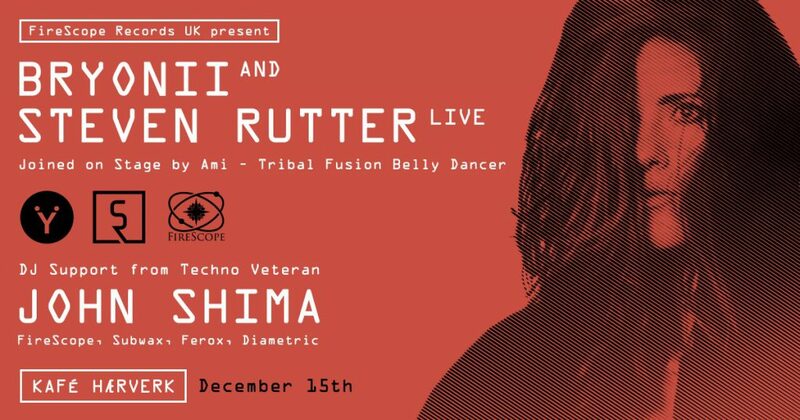 On the 14th, Steven Rutter of the seminal and pioneering B12 brings his unique strain of deep, electro influenced techno to us via a two hour live hardware show. He will be supported by local dj’s kompressorkanonen and L.I.T.S.W.D. The 15th is a Firescope Records showcase, one of the most innovative electronic record labels out there, with a roster of incredible artists. We will have a live show featuring Bryonii on vocals, Steven Rutter in charge of music, and the dancing of Ami. They will be supported by the British DJ John Shima, and his warm futuristic techno. DJ Fat Funk may also make an appearance.